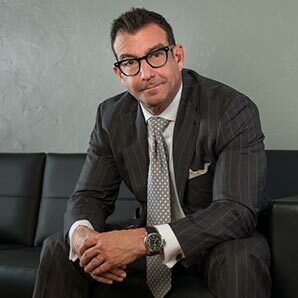 Jeffrey “Jack” Gordon is a highly skilled trial attorney who has been profiled among the TopLawyers© in the Bay Area by Tampa Bay Magazine and has twice been selected a Leading Attorney of the Southeastern United States in Forbes magazine. He has been selected for inclusion among Florida’s Legal Elite and recognized as one of the Top 100 SuperLawyers® in the state of Florida, and one of the Top 50 SuperLawyers® of Tampa Bay. Mr. Gordon concentrates on prosecuting claims of medical negligence and he was named the #1 Medical Malpractice Lawyer by his peers in Tampa Magazine in 2016, 2017 and 2018. Four times Board Certified in Civil Trial Law by The Florida Bar, Mr. Gordon is also twice certified by The National Board of Trial Advocacy as an expert in both Civil Trial Law and Civil Pre-trial Litigation. He is AV® rated Preeminent by Martindale-Hubbell. In 2017, Mr. Gordon earned National Board Certification as an expert in Medical Malpractice law by the American Board of Professional Liability Attorneys. He is 1 of merely 17 lawyers in the State of Florida to have achieved this distinction. Mr. Gordon garnered a 2014 and 2015 National Litigator Award from the Trial Lawyers Board of Regents and is a Lifetime Member of The Million Dollar Advocates Forum having achieved multiple seven-figure jury verdicts and settlements. Mr. Gordon was honored in Florida Top Verdicts for having obtained the largest award in a lawsuit against a Dram Shop in 2011 (8.25 Million Dollars). Mr. Gordon prosecutes these claims individually and continues to serve as co-counsel throughout Florida for the purpose of assisting fellow lawyers to represent individuals injured as a result of the improper service of alcohol by bars, stores and restaurants. Most recently he obtained the largest award in a lawsuit involving a motorcycle accident in December of 2017 (14.95 Million Dollars). After jury selection and merely four days of testimony in what was expected to be a 10-day trial, GEICO executives at the corporate headquarters in Maryland authorized consent judgment before verdict. Mr. Gordon has been elected to membership in the American Board of Trial Advocates (ABOTA) and is listed in The Best Lawyers in America (2018 Edition). Mr. Gordon has also achieved national recognition for his efforts in seeking to overcome tribal sovereign immunity on behalf of critically injured clients in multiple lawsuits filed against the Seminole Tribe of Florida. Mr. Gordon remains committed to representing individuals who have been injured, and families of relatives who have been killed, as a result of medical malpractice, motor vehicle negligence, and dram shop violations. Since 1992, Mr. Gordon has combined his passion for helping others with his precision advocacy and has represented victims of negligence in cases ranging from catastrophic vehicular accidents to boat explosions to surgical errors to failed hospital equipment. In addition to representing families who have lost members due to wrongful death, Jack has represented clients who have suffered a myriad of injuries including spinal perforations, silicone induced fibromyalgia, brain traumas, paralysis, and organ loss. With a strong work ethic, established by his family and forged by a father who worked as a brick mason, Jack has been driven to succeed in all aspects of his life — from excelling in school to winning in the courtroom today. While earning his Bachelor’s degree in English at Tulane University, Jack played lacrosse and minored in physiology. At Tulane University School of Law, he combined his passions for health and scholarship, and in 1988 introduced to the Louisiana legislature a proposal forcing pharmacies to provide enhanced disclosure on consumer prescriptions. Out of law school, Jack clerked for Judge Edward Barfield in the First District Court of Appeal and then received the appointment as Special Assistant Public Defender for the Appellate Division of Dade County, Florida. In 1990, he became the youngest certified Circuit Court Arbitrator in Palm Beach County. Entering private practice in 1992, Jack served as legal counsel to U.S. Total Health and Fitness and Gold’s Gym, and still found time to earn APFC, IPFA and ACE certifications as a personal trainer. It is this background that naturally led Jack to represent plaintiffs suffering from injuries as a result of negligence and medical malpractice. In 1994, Jack established his reputation by successfully representing more than 120 women injured as a result of silicone breast implants in cases against the pharmaceutical manufacturers. Voted by his peers as the #1 Medical Malpractice Attorney in Tampa Magazine’s TopLawyers® 2016, 2017, 2018. Selected among the Best Lawyers in the Bay Area by Tampa Bay Magazine. Selected as one of the Leading Attorneys of the Southeastern United States, by Goldline Research and profiled in Forbes Magazine. Earned a 2014 and a 2015 National Litigator Award from the Trial Lawyers Board of Regents. Named to Florida’s Legal Elite by Florida Trend magazine. Selected for inclusion and profiled as one of the Top 100 SuperLawyers® in Florida and one of the Top 50 SuperLawyers® in Tampa Bay. Four-time Board Certified Civil Trial Lawyer by the Florida Bar. Board Certified by the National Board of Trial Advocacy in Civil Trial Advocacy. Board Certified by the National Board of Trial Advocacy in Civil Pre-Trial Practice Advocacy. Board Certified by the American Board of Professional Liability Attorneys in Medical Malpractice law. Elected to the American Board of Trial Advocates. ABOTA membership is by invitation only to trial lawyers of high personal character and honorable reputation, upon nomination, election and approval by the national board. Named as Lifetime Member to the Million Dollar Advocates Forum, one of the most prestigious groups of trial lawyers in the United States. Membership is limited to attorneys who have won million and multi-million dollar verdicts and settlements. Fewer than 1% of U.S. lawyers are members. Selected for inclusion in The National Trial Lawyers: Top 100. This is an invitation-only organization composed of the premier trial lawyers from each state in the nation who meet stringent qualifications as civil plaintiff and/or criminal defense trial lawyers. Selection is based on a thorough multi-phase process which includes peer nominations combined with third-party research. Membership is extended solely to the select few of the most qualified attorneys from each state who demonstrate superior qualifications of leadership, reputation, influence, stature and public profile. Selected for America’s Top 100 High Stakes Litigators®. This organization is invitation only and is reserved to identify the nation’s most exceptional trial attorneys in high value, high stakes legal matters.